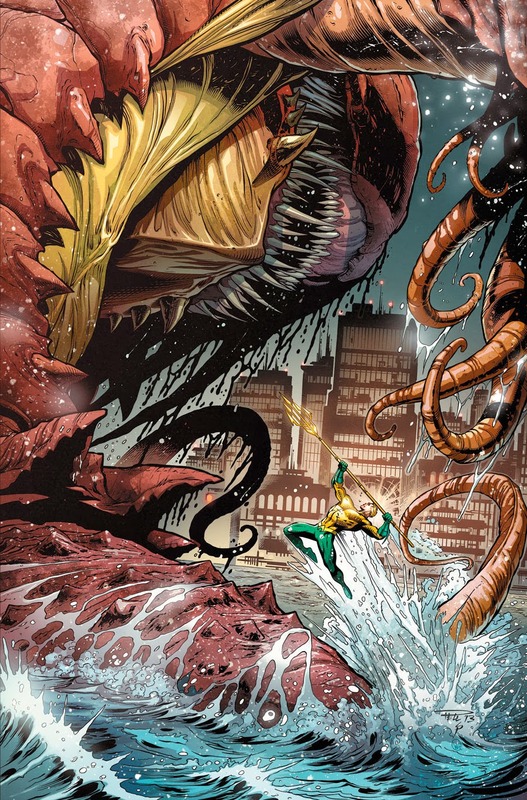 The Karaqan stole the show in the Pirates of the Caribbean movies, and it sure looks like it's about to do the same to Aquaman. Forget Pacific rim, King of The Seven Seas vs Sea Monster has ringside tickets selling fast! He's a true icon of DC Comics greatest era and he needs more press! In this issue the Seeder story wraps up as the earth bleeds green, getting ready for whatever era blooms next. Writer Charles Soule is in hot demand, and here is the perfect place to find out why! 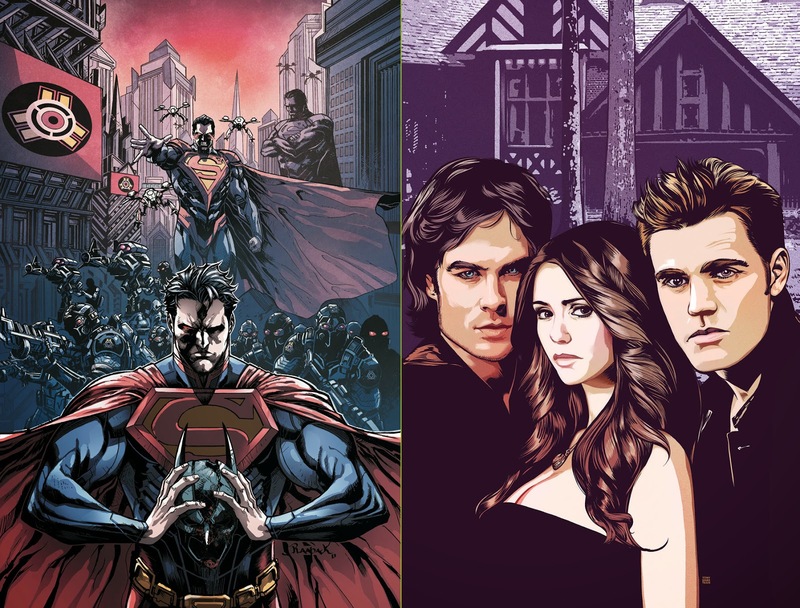 This anthology series will bring some of comics’ greatest talents to Mystic Falls, to bring the characters to life... or death. 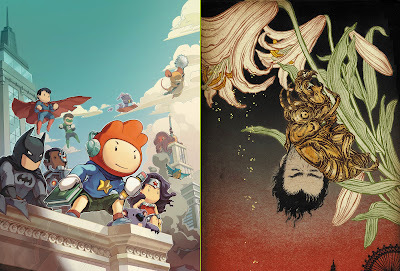 Straight from the hit video game Scribblenauts Unmasked: A DC Comics Adventure comes an all-new, all-ages adventure featuring Maxwell, Lily and as many DC characters as you can imagine! It’s the perfect jumping on point, as Tom Taylor is stranded at the beginning of all creation! Lost in the unwritten scenes of all the world’s stories, Tom Taylor is headed back to reality — and all the gods and beasts and monsters ever imagined can’t stop him. What do you think? 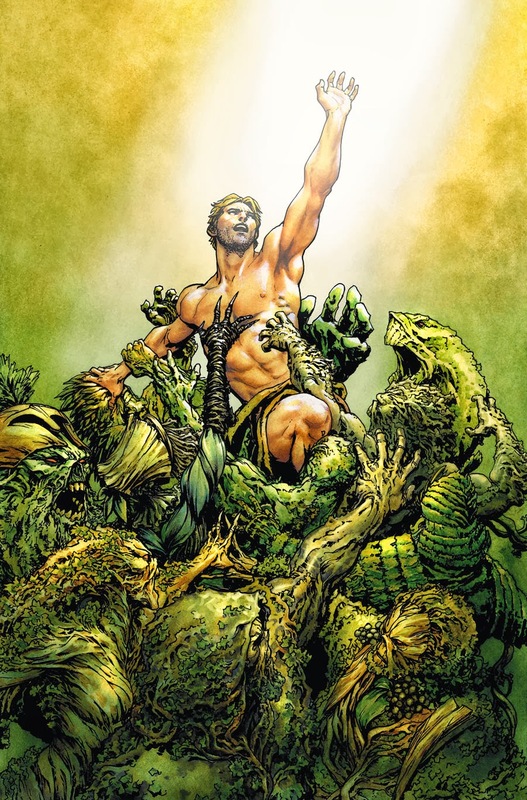 For the full list of DC's January 2014 solicitations, click the jump. Finally! The Unwritten is back! I've been waiting for this one. That is a pretty epic Aquaman cover though. 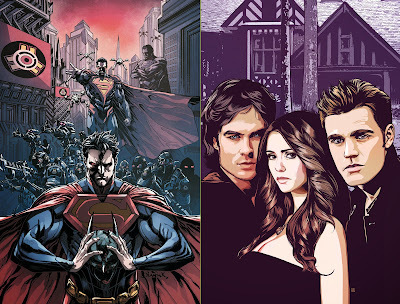 Thanks Random - it is good to see Warners stepping in with some of its hot properties for DC too. That Vampire Diaries could be a great door opener for many. The Unwritten is like The Neverending Story, except while that ones lie is in that it never ends yet does, The Unwritten says it's never wrote but is. Can we trust any titles anymore Random?